Private moneylending has always had its risks. So what about when it’s online? Earlier this year, Bhanu (full name withheld), a resident of Hyderabad, was desperate to get a fresh loan to pay the EMI for his house as defaulting ano­ther month would mean having to relinquish the house he had bought just a year ago with his wife. Not knowing what to do, he googled “easy ways to raise money” and chanced upon a peer-to-peer (P2P) lending platform called I-lend. I-lend is among the several websites that have emerged in India over the past few years offering a platform to connect individuals who can borrow and lend money to each other at rates less than what is charged by credit institutions such as banks or NBFCs (Non-Banking Financial Companies). With the e-commerce boom, entrepreneurs are looking to explore new ideas of utilising the internet, and peer-to-peer lending websites have generated quite a lot of interest in the country. The model is still fairly new—just about three years old—and yet in the past year alone, 20 home-grown startups have emerged on the scene, taking the tally to 30. Yet, there is a catch. The P2P sector in India runs devoid of any regulatory framework. A sudden rise in their numbers has forced the RBI to take a closer look at the sector and float a consultation paper suggesting regulations. Sans the regulations, P2P lending is gaining popularity as it allows individuals to borrow money or make an ­extra buck by charging interest without ­going through the formalities a bank or other app­roved lending institutions might demand. “Most borrowers today already have a loan history preceding them, which makes it ­almost impossible to get loans from banks,” says Bhanu. The rate of interest charged by these P2P websites varies from 16 to 24 per cent in most cases. For lenders, such websites promise faster returns than stock markets or other investments. “Lenders get a rate of return that is higher than most other investments. People are willing to take risks for a higher return,” says Harsh Rungta, founder of Apna Loan. The P2P model is not a new concept globally. China, for instance, has close to 2,000 registered P2P companies that are not governed by any law, while in the US there are regulations to govern them. ­Research conducted by the EU-based Peer-to-Peer Finance Association (P2PFA) estimates that the cumulative lending value of P2P companies has grown from 2.2 million pounds in 2012 to 4.4 billion pounds in 2015. Given the experiences in other countries, it is necessary to view the growth of the P2P sector with some caution. Both China and the US have seen several big scams ­under the garb of P2P lending. In China, one of the biggest industry players was taken to court for cheating an investor of $7.6 billion. In the US, the CEO of a major P2P company was acc­used of inconsistencies in his dealings. To prevent similar frauds, Indian companies are striving to incorporate safeguards such as rigorous proces­ses of risk assessment before allowing people to set up profiles. 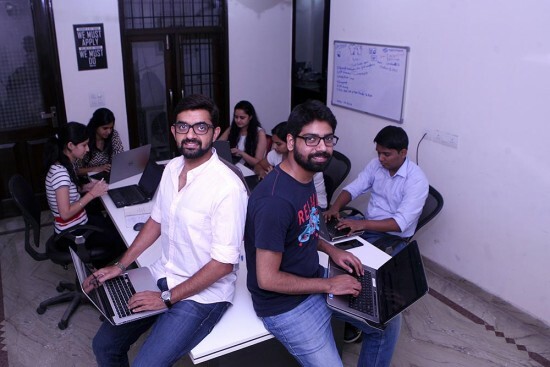 “Most websites in this domain have dev­ised several checkpoints, which are an amalgam of portfolio assessment, KYC (know-your-customer) norms and a certain ­level of credit history,” says Ekmeet Singh, CEO of Lendbox, a P2P lending website which started operations last year. Lendbox, in fact, claims that its credit methodology and selection criteria are, in many ways, more rigorous than most banks. “Instead of just checking credit history and KYC norms, we also use big data to track spending patterns of customers on social media. In total, we use a checklist of over 200 data points,” says Singh. Lenders and borrowers are at liberty to decide the interest rate for each transaction and a borrower can borrow the amount from different lenders at different rates. In most cases, lenders are required to place the money they wish to give in a virtual currency wallet as an assurance of payment. Ranjeet Mudholkar, the vice-chairman and CEO of Financial Planning Standards Board India (FPSBI), is wary of people approaching such institutions. “The ability of such organisations to do justice to such loans remains suspect. Loans should be taken for specific needs and expenses, and traditional institutions are more tuned into how affordable or prudent taking such a loan might be. People are simply putting themselves and their savings at risk by using such platforms,” he says. No clear safeguards exist on how loan repayment will take place or how much liability the e-company might have in case of default. More so, most firms are unaware of where the responsibility of the loans may be transferred in case the firm is forced to shut down. As the money being circulated on such portals is rising, regulatory bodies such as the RBI and SEBI are mulling ways to regulate the sector. The RBI’s consultation paper has mooted that such e-commerce companies be registered as NBFCs (Non-Banking Financial Companies). Interestingly, the RBI consultation ­paper clearly sees potential in this form of lending, if well-regulated. “The balance of advantage would lie in developing an appropriate regulatory and supervisory tool-kit that facilitates the orderly growth of this sector so that its ability to provide an alternative avenue of credit for the right kind of borrowers is harnessed,” states the paper. RBI governor Raghuram Rajan, in his recent monetary policy review, announced that the regulations will be out in the next few weeks. The P2P firms are clearly divided on regulation. “The industry is still at a nascent stage and over-regulation can stifle growth and innovation,” says Rangan Varadan, co-founder of Micrograam, which provides loans for small business ventures in rural areas. However, K. Vaitheeshwaran, a pioneer in Indian e-commerce, disagrees. “The gene­ral perception is that regulations stifle growth, but some regulation is required to enable growth as well. Since this sector has a social impact, there is no doubt it must be regulated,” he says. Clearly, a new avenue has opened up for borrowers to access money and for lenders to make a quick buck. Whether this trend will land many borrowers in bigger debt traps remains to be seen. Only regulation can check the emergence of anot­her breed of moneylenders.